Disney’s Official Fan Club Will Also Present Panels including A Sneak Peek of American Experience: Walt Disney, A Tribute to A Goofy Movie for Its 20th Anniversary, and More. BURBANK, Calif. – June 30, 2015 – Members of the original Mickey Mouse Club will join the fun at D23 EXPO 2015 during a special presentation to commemorate the show’s 60th anniversary. Celebrating Walt Disney’s Mickey Mouse Club — 60 Magical yEARS, hosted by author Lorraine Santoli (The Official Mickey Mouse Club Book), will take place Sunday, August 16 at 5 p.m. in Stage 23. The panel, featuring original Mouseketeers Sherry Alberoni, Sharon Baird, Bobby Burgess, Tommy Cole, Darlene Gillespie, Cubby O’Brien, and Doreen Tracey, along with actors Tim Considine (Spin Evans) and David Stollery (Marty Markham), will include a one-of-a-kind performance filled with memories, music, and magic. D23 EXPO 2015, presented by D23: The Official Disney Fan Club, will take place August 14–16 at the Anaheim Convention Center. In addition to the panel, the Disney Dream Store will offer a small collection of 60th anniversary Mickey Mouse Club items to mark the occasion. Also, several of the Mouseketeers will be available for a signing opportunity at D23 Autograph Central on the EXPO show floor on Sunday from 2:30–3:30 p.m. Plus, guests will be able to see Mouseketeer Annette Funicello’s original Disney Legend handprints on display for the first time outside the Walt Disney Studios lot. 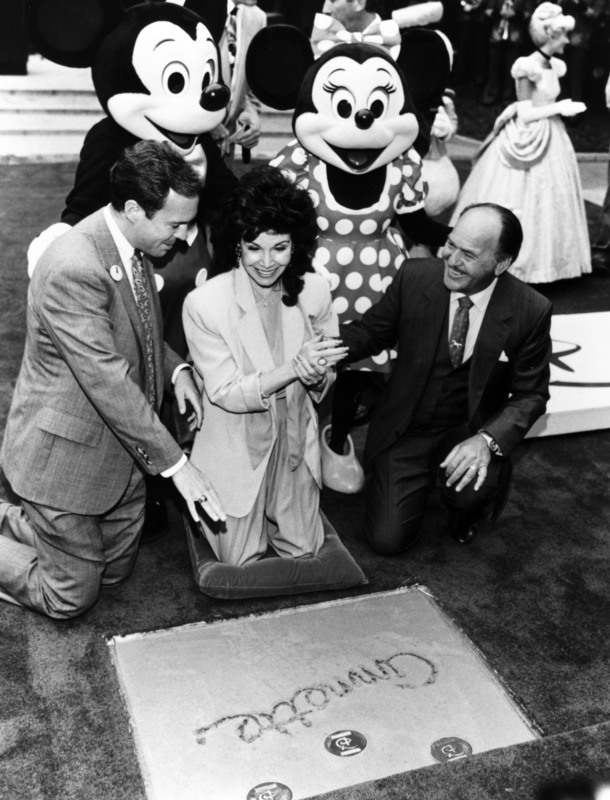 The handprints, taken on October 21, 1992, when Funicello was inducted as a Disney Legend, will be presented in one of the show floor’s “photo spots.” There will also be a collection of props and costumes from Mickey Mouse Club Circus in Walt Disney Archives Presents—Disneyland: The Exhibit. 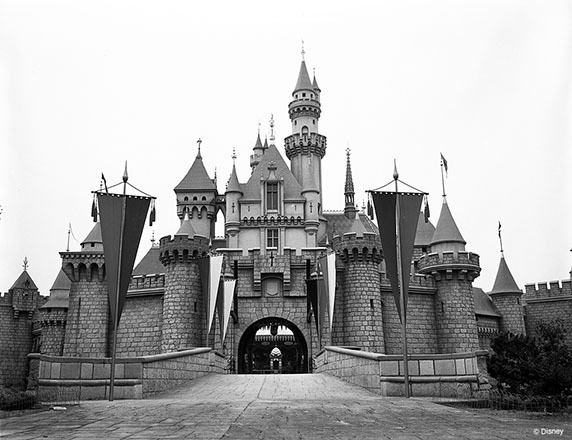 Charles Phoenix: Big Retro Disneyland Slide Show! Be prepared for your Disneyland-loving spirit to soar when the Ambassador of Americana takes you to the granddaddy of all theme parks when it opened. With his spectacular collection of “found” mid-century-era Kodachrome images, unbridled enthusiasm, and keen eye for detail, Charles shares the early days of Main Street, U.S.A., Adventureland, Fantasyland, Frontierland, and Tomorrowland. See long-gone attractions, including the Phantom Boats, Flying Saucers, the Indian Village, PeopleMover, House of the Future, Carousel of Progress, and the original Tomorrowland—promoted as “The World of 1986”—and the all-new Tomorrowland in 1967. Your imagination will be inspired! While Disneyland is one of the most photographed places on earth, this collection of one-of-a-kind footage and photography offers a unique viewpoint from another time. From the Academy of Motion Pictures Arts and Sciences, Randy Haberkamp, Managing Director of Preservation and Foundation Programs; Lynne Kirste, Special Collections Curator; and surprise special guests will take guests on a journey from Walt’s inspirations for Disneyland to the park’s opening and evolution, as captured on film. Suzanne Lloyd joins the presentation to showcase her grandfather Harold Lloyd’s stunning photography of Disneyland taken the week before the opening and on opening day. A Goofy Movie 20th Anniversary Reunion! 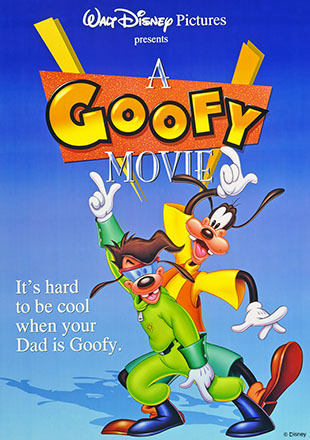 Fans of A Goofy Movie won’t want to miss this special commemoration of the beloved Disney animated feature, which turns 20 in 2015. Film producer Don Hahn hosts a panel of A Goofy Movie talent––including Disney Legend Bill Farmer (Goofy), Jason Marsden (Max), Jim Cummings (Pete), Rob Paulsen (P.J. ), and writer Jymn Magon––who will share behind-the-scenes stories and surprising anecdotes from the fan-favorite musical. This fall, PBS will premiere a new two-part, four-hour film exploring the life and legacy of Walt Disney as part of the American Experience series. Go behind-the-scenes with the team who brought the project together for a special sneak peek of the film: moderator Don Hahn (film producer, Beauty and the Beast and The Lion King), Sarah Colt (director/producer, American Experience: Walt Disney), Neal Gabler (biographer, Walt Disney: The Triumph of the American Imagination), and Becky Cline, the Director of the Walt Disney Archives. Since 2010, D23 Destination D events have offered D23 Members the chance to celebrate their favorite Disney subjects with unique and in-depth presentations from Disney Legends, Imagineers, animators, and others who have made magic on film, at Disney theme parks, and beyond. 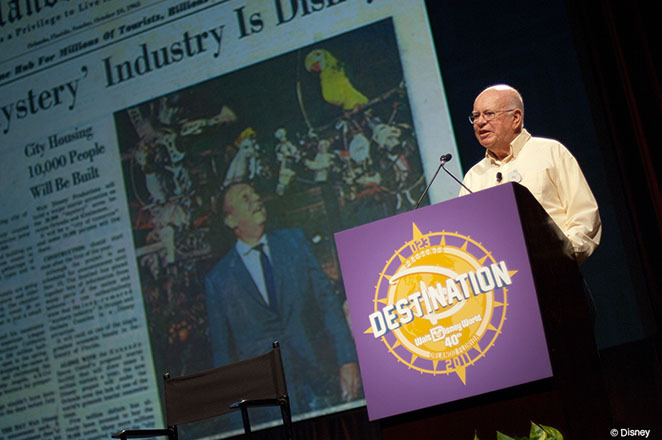 At D23 EXPO 2015, D23 is bringing two popular presentations from prior Destination D events together for a celebration of Walt Disney World® Resort—including a look back to its construction, early development, and favorite attractions of the past with Disney Legend and Walt Disney Archives founder Dave Smith. Then, Imagineer Jason Grandt will provide a modern look at Disney Parks and offer a designer’s point of view of details and “Easter Eggs” found throughout different attractions. Bender: Grab a shovel. 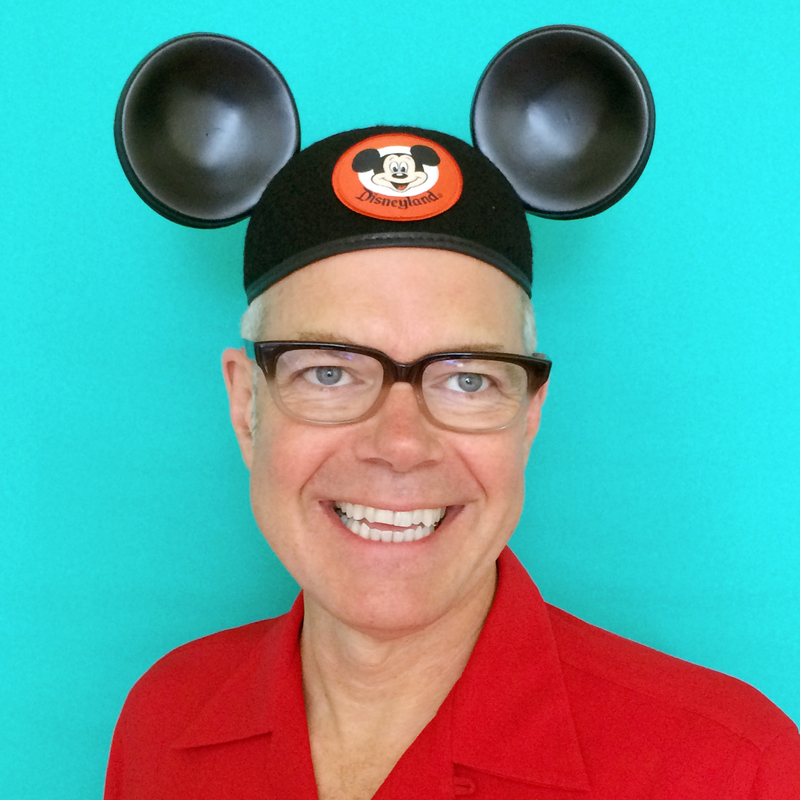 I’m one skull short of a Mouseketeer reunion.